Another addition to the CELL family. 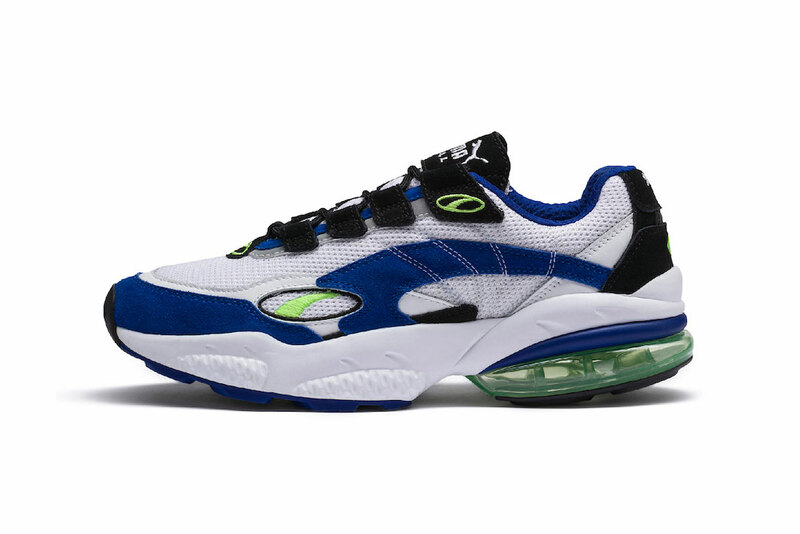 Following the relaunch of the CELL Endura, PUMA unveils the CELL Venom for the winter season. Introduced in 1998, the global sportswear brand celebrates the retro runner’s 20-year anniversary with a rerelease of the original colorway. PUMA launched its proprietary hexagonal cell technology in the midsole of the shoe, allowing runners maximum cushioning and faster times on the track. Now updated with all new production techniques, this CELL Venom offers a breathable mesh upper, a disruptive design, and CELL tech at the heel. The first iteration of the sneaker will be available in a “white/surf and web blue” colorway. The PUMA CELL Venom in “White/Surf The Web Blue” is available now via Undefeated and the global release follows on December 6 at leading sneaker boutiques around the world, PUMA.com and PUMA stores worldwide. There is history within your pieces. A definitive list of places for first-time visitors. Reworking three of its most popular models. Stream “The Man Who Has Everything and “My Own Thing” here. Featuring orange or purple overlays.